Whether you’re looking for the space of a single-family home or the freedom of a sophisticated condo, you can find the real estate of your dreams in Lake Bonavista. Learn more about the two primary Lake Bonavista home styles below. Lake Bonavista has a wide range of gorgeous single-family homes that are suitable for active families of all shapes and sizes. These spacious homes tend to feature several rooms. Though there is the occasional two or three bedroom home, most of Lake Bonavista’s houses have four or five bedrooms and three bathrooms. These are an excellent choice for growing families, or people who desire additional guest rooms or offices. 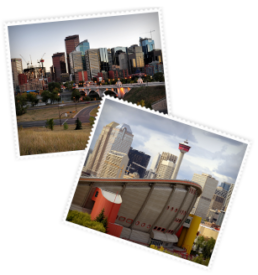 Private, beautiful, and well located, it’s hard to find better homes in Calgary. Those looking for an easy, low-maintenance lifestyle need look no further than Lake Bonavista. Indulge in the relaxing lakeside community without the commitment or hassle of a full-sized home. These condos are perfect for busy professionals, small families, and first-time home buyers. Lake Bonavista’s condos are the community’s most affordable option, jam-packed full of fantastic value. These homes boast beautiful architecture, and some of the best luxury features around.